This week we’re talking with the program manager of an exciting new program for people with type 2 diabetes. T’ara Smith joins us to talk about launching Beyond Type 2, an exciting website designed for people with type 2 diabetes to find resources on management, share their stories, and connect with others living with diabetes. In our talk, we’ll be discussing why these issues are so important for the type 2 community, especially for youth and minorities. For many people, it takes meeting other people with diabetes to help them get over the initial struggles of having the disease. And then a few people get called to advocate for the needs of many. We’re fortunate today that there is such a diverse and strong diabetes community that supports each other, and I believe that T’ara is a big part of that now and will continue to grow in her role into the future. 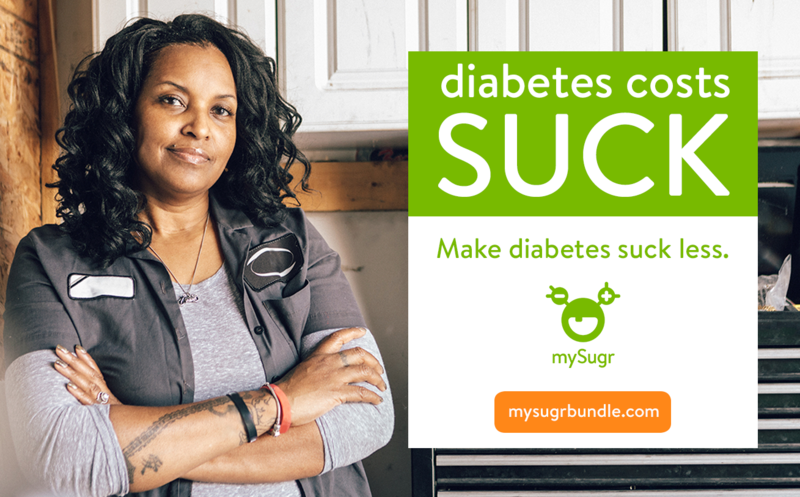 We also recently featured T’ara and her story in a mySugr Spotlight post – be sure to check that out, too! T’ara’s story with type 2 diabetes as a young adult. Her trip to AADE’s annual meeting and how that changed everything for her. All about Beyond Type 2. Scott Johnson: Hey, welcome to another episode of Live with Scott, thanks so much for tuning in. My name is Scott Johnson. I’ve been living with diabetes since I was five years old and the diabetes social media space, that’s you by the way, has been an important part of my wellbeing for a long, long time. Thanks for helping me along. Scott Johnson: As your host today, I am thrilled to connect you with T’ara Smith from Beyond Type 2. I can’t wait for you to meet her and hear about all she’s doing. It’s super, super exciting. I am behind schedule on picking our winner for last week, so I’m sorry I don’t have the name ready at the tip of my tongue. Scott Johnson: We are in the middle of moving to a new mySugr office space, which is super exciting. I’ll give you guys a tour on one of these shows and we’re going work on making the background a little bit less boring, so hang with us there. I will pick our winner from last week right after the show and send you guys a message on Facebook to collect details and get your mySugr swag bag out to you. Scott Johnson: While we get going, please share a quick comment and hello and let me know where you’re watching from. I’d love to say hi. If we cover anything that resonates with you, please show us some love and if you know anyone that might find this helpful, please share this with them. I would really, really appreciate that. Scott Johnson: Today’s episode is sponsored by the mySugr Bundle. Get unlimited strips, automatic supply refills, personalized support and more, all for just $49 every month. Learn more at mySugr.com/facebooklive. Scott Johnson: Now, for more on this week’s guest. T’ara Smith is the project manager for a new program of the global non-profit, Beyond Type 1, called Beyond Type 2. Beyond Type 2 is designed for people of the type 2 diabetes community to find resources on management, to share their stories, and to connect with others. Scott Johnson: T’ara also lives with type 2 diabetes and loves to show the world how it’s possible to live a full and happy and healthy life with it. I’m also thrilled to share that Beyond Type 2 is available in Spanish. All right, let’s get into the interview. Scott Johnson: Welcome, T’ara. Thanks so much for joining me today. T’ara Smith: Thanks for having me, Scott. Scott Johnson: Absolutely. It’s our pleasure. We are very excited about all the work that you’re doing and I can’t wait to share this with the world. First of all, for those who may not know you, can you introduce yourself and tell us a little bit about your connection to diabetes. T’ara Smith: Yeah. My name is T’ara Smith. I am from Baltimore, Maryland, but now I live in San Jose, California. My connection to diabetes is that I have type 2 diabetes. I was diagnosed almost two years ago, July 2017 at the age of 25. I also had pre-diabetes when I was 18, after my freshman year of college. Scott Johnson: Nice. Well, not nice about the diabetes, of course, but I think it’s like everyone’s journey to diabetes is so unique and special in some ways and sometimes not so special in other ways. Can you talk a little bit about what it was like dealing with a diagnosis of type 2 diabetes at such a young age? Right, like typically we think of diabetes as… type 2 diabetes as older and that kind of thing. Can you tell us a little bit about that? T’ara Smith: Yeah. Well, when I was diagnosed, I was already living a healthy lifestyle, so about four and a half years prior, I made a conscious decision to really change my lifestyle around, to get away from processed foods, to exercise regularly, I became a runner, and then I moved on to weightlifting, all in the effort to not just lose weight, but to take care of my health from a holistic level. T’ara Smith: I was also with the intentions of preventing a type 2 diabetes diagnosis because I’d been pre-diabetic before and also, type 2 diabetes runs in our family, so back then I knew I had a higher risk for it if I didn’t take care of myself. T’ara Smith: When I was diagnosed years later, I did feel, I think, like after a while, I felt a little sad and disappointed in myself because I went through all of these changes only to be diagnosed anyway, so it felt like a lot of my efforts were for nothing. Also, at the time, I was getting my Master’s Degree in Nutrition Education, so I just felt a little fraudulent. Also, I didn’t know how to really handle it at the age of 25 because when you’re 25, you don’t really think of getting something that your grandmother has. T’ara Smith: It was something that I thought if it did, that if I were diagnosed with it, it probably wouldn’t happen two years later. I really had to break my own stigmas and biases about diabetes even though I was learning about it from the academic level. From a personal level, I had to tell my folks you’re really never too young to get a chronic illness like this. It made me wonder how many other people my age were also living with type 2, but probably weren’t talking about it. Scott Johnson: Yep. Yeah. I think that’s such an important point that you bring up because I think diabetes is something that, whether type 1, type 2, like all the different types of diabetes, we’re so very emotionally connected to it. We don’t know about diabetes before diabetes other than like you say, you’re studying it academically, but I can imagine the emotional rollercoaster and all the different feelings that you were having at that time. What for you was your ways through that time? T’ara Smith: I’m sorry. Say that one more time. Scott Johnson: What was like your strategy or you found some ways to kind of cope with this and you were already making so many incredible, positive changes in your life and here comes this diagnosis that knocks you off balance for a bit, but then you find a way to move on, right? T’ara Smith: Yeah. At the time I was actually kind of worked it like a bit of a denial stage. I used to work in downtown Baltimore. There were a lot of places to eat and I would rebel in a way against my diagnosis, so maybe I would have an extra cookie or so, but after a while when I decided to really face the fact that I had diabetes, I just decided to talk to people and really be open about it. In fact, I think probably like a day or so after my diagnosis, I recorded a YouTube video just being open about it. T’ara Smith: I was blogging at the time, too, so I said the way for me to really handle this it to be as open as I can. I also confided in loved ones. My mom and my cousin and my friends who didn’t have diabetes, but knew what kind of changes I would need to make in my life and that ended up being pretty cathartic to me. T’ara Smith: I wasn’t shy about talking about it with, back then, my coworkers who were also working with people who had diabetes because we were working for a population that’s generally older. They knew as well and they were sympathetic to me and they were always there to listen. Just confiding in others was a big step because there was no way I could have kept all of those emotions in myself. I also felt like as someone who’d been blogging about her weight loss and also battles with emotional eating, I felt like diabetes was just something else that needs to be open about. I felt like if I talked about it, then maybe someone else could relate to it. 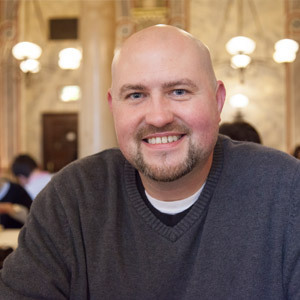 Scott Johnson: There’s so much power in that and it reminds me of another guest we had on not long ago, Niketa, who also talked about the power of story. That’s something that also resonates big with me as well because when I was wrestling with depression and diabetes and figuring out what does it mean to live with diabetes as a growing adult and starting to raise my own family. I also found our story in writing and just sharing this … there’s something there that just helps process everything that’s going on. T’ara Smith: That’s something I’ve always been consistent on. Everything that I do is about the long-term, so I have always lived by it’s not about racing to an end. It’s about taking things day by day and making small changes. Those small changes will lead to big results. Scott Johnson: I think we often underestimate the impact of those small changes over time. I know that I often fly from the all or nothing perfectionism, to reckloose. It just it never seems to work and the power of those small changes is something else. You mentioned Beyond Type 2, which is a fascinating part of your story. Before we came on the air, we were talking about you deciding to go to an AADE in Baltimore, which is what led you to where you are today. We’ll get into that a little bit. Scott Johnson: Talk to me about what drew you to want to go to this big diabetes conference in the first place? T’ara Smith: Yeah. I had just graduated from grad school in May 2018 and I realized during grad school I didn’t go to any conferences mainly because conferences at that time were in places that I couldn’t fly to, so going to AADE was something I was really interested in because I want to become a certified diabetes educator and this felt like the best opportunity to really get into conferences that were in my field, my preferred field. T’ara Smith: When I saw it was in Baltimore, I said, “Okay, I have to go. I have no idea when the next diabetes-related conference will be in my area.” Especially, I was able to still be counted as a student, so I felt like this is the best time to go, and I wanted to learn more from people who were already in the industry and learn more about how they treat patients living with diabetes. I wanted to also contribute what I thought would be useful in the diabetes education field. Even though I’m not a certified diabetes educator yet, I still feel like my unique experience with diabetes would be helpful to the field in general. That’s why I went. T’ara Smith: Yeah, ended up changing my life because I ended up meeting Thom Scher of Beyond Type 1 and now, I’m here in California working for Beyond Type 1 as the project manager for Beyond Type 2. I also met Sophie, who works with you at mySugr, so it’s kind of funny how all these connections just [crosstalk 00:12:05]. Scott Johnson: It’s a beautiful… Yeah, I think it’s a beautiful journey. I find the diabetes space, it’s a small space full of amazing people and it doesn’t take long to spiderweb out and connect with all these great people. Everyone has a story to tell. You mentioned how you feel your story and your voice will be an inspiration to many people and you never know how far that ripple is going to go out. Scott Johnson: I love that story and I am such an advocate for sharing and opening because people need to hear these stories. You mentioned earlier that there are likely other people who have been diagnosed young with type 2 diabetes, but they don’t know how to talk about it or are not ready to talk about it, so seeing you take that step in changing the world, who know what that will lead to. T’ara Smith: Yeah. Also, when I went to AADE, there were a couple of panels. One was on peer support and I think there was another one on depression or something. I remember in those panels I went up to the microphone and I gave my comments. I said, “Hey, for the educators here, for the nurse practitioners, or people who have private practices, make sure that you’re marketing to people who are under the age of 40 who may live with type 2.” Then, I said, “I’m someone who’s 26 and I had issues with [inaudible 00:13:38] and [inaudible 00:13:39] and dealing with the emotional aspects and mental health aspects of type 2 diabetes and it also impacts my social life.” I felt like there was a whole audience that I feel like some health professionals were missing. T’ara Smith: For me, that kind of made sense because I think we all have some sort of bias about type 2 diabetes being for people who are probably older than 50, but I really wanted to shine a light saying there’s another audience that you can reach out to and maybe it could then help improve your practice, maybe you can learn some other ways, some new things about type 2 diabetes management or diabetes management in general for people who are young and also deal with the age stigma of living with it. T’ara Smith: I also shared how I received some stares when I would tell people that I had type 2. The stares were usually either looks of judgment or looks of pity and I didn’t really get offended by it. For me, it was just expected, but also, my experience is not everyone else’s experience. I feel like those voices should be amplified as well. Scott Johnson: Absolutely and how strong of you to not let those stares and other people’s conceptions hold you back and slow you down. I applaud you greatly for that. Scott Johnson: You mentioned Beyond Type 2, let’s talk about that for a minute. Scott Johnson: I’m very excited about it. I think the world in general, this is something the world needs and you, through the connections you made at AADE and the strong, powerful person you are, here you are, moved across the country, and now you’re running the project, yeah, the program. Scott Johnson: Fill us in. Tell us a little more about what Beyond Type 2 is, all the [inaudible 00:15:38]. Yeah. Let’s just take this story where it goes. Right? T’ara Smith: Okay. Beyond Type 2 is what I believe and what we all here believe is going to be a game changer for how we view type 2 diabetes for everyone. I know we just talked a lot about the age thing, but from a young person’s perspective. At Beyond Type 2, we’re here to radically change the way people see diabetes, living with type 2 diabetes. We want to have a non-clinical approach to it because if you’re looking on a lot of type 2 websites, you may see things about just eat well and exercise and that’s how you manage your diabetes, but it’s so much more complex than that. T’ara Smith: When you’re talking about type 2, you have to really think about the person and at Beyond Type 2, that’s what we want to do. We want people to come to the website and view resources and be able to say, hey, people at Beyond Type 2 see me. They just don’t see what the number that’s on my meter. They see the person who may be dealing with stress. They may see the person who may be having trouble starting a healthy lifestyle. They see me as a person who is in a relationship or who has to deal with diabetes at work. We want to hit all aspects of the human experience with type 2. T’ara Smith: It doesn’t even matter if you’re someone who is older or if you’re someone’s who is younger, it doesn’t matter what ethnic background or cultural background you’re from, this is a place for you, it’s a place for everyone. I feel very honored to be in this position. This is the position that I’ve been seeking for a while, but I didn’t think it would come this fast. Now that I have some decision power over what kind of content goes on the website and what people get to see and whose voices get to be amplified, my personal mission is to make sure that everyone feels heard and that we’re serving the type 2 community and that everyone can feel empowered to live their best lives with type 2. T’ara Smith: Also, for people who don’t have type 2 and for people who may have loved ones with type 2 that they also see as well that we’re strong. We’re strong. We can do anything that we want to of course with type 2 and we want people to just really see that we can live powerfully, which takes me into our campaign that we launched on the day we launched Beyond Type 2. It’s called Beyond Powerful. It’s an Instagram campaign and we’re seeking stories from people who live with type 2 to tell us how they live powerfully with it. Like, what do you do? Do you box? Do you just have a good attitude? Is there another hobby? Are you a musician? We have several stories on our Instagram page right now and all of them are unique and they represent a wide variety of experiences that are unique and special. Including my grandmother, she’s featured on there and I’m featured on there as well. Yeah. Scott Johnson: We’ll put some of the images up on the screen for the broadcast. People can see a little bit more about what we’re talking about here, but it’s something I very much enjoyed and it again goes back into you showing this different side of diabetes, but also, much more than you. Right? It looks like all these different people and walks of life and ages and interests and everything. If there’s one thing that we know, is diabetes doesn’t discriminate. Scott Johnson: If it [inaudible 00:19:28] you, that’s what it is. I think that by seeing all these different people and different stories, it empowers more people to open up and feel comfortable sharing their stories. T’ara Smith: Absolutely. If you go onto the Beyond Type 2 website, you’ll see that we have a slogan that says “You’re Not Alone,” and we want to make sure people feel that way with you are never alone in your fight, your personal fight against diabetes, you have a whole community here at Beyond Type 2 to help you. That’s the message we want to get across. I’ve always called diabetes the silent disease because it’s something that you don’t really feel, at least until you start having some sort of complications with it. T’ara Smith: At least that’s how it was in my experience, but we want to remove that silence, we want to really be open about how they live with diabetes because there is no shame in living with it and there’s also no shame in talking about your struggles with it either. I hope people can look at Beyond Type 2 and say, “I’m having a bad day, but Beyond Type 2 is making me feel better about it and they’re giving me some solutions to help me with some of my problems.” I hope people watch this and see that I can relate, obviously, because I have type 2 and personally, I’ve never been shy about talking about how sometimes having diabetes can be a downer sometimes, but I think talking about it is cathartic and helps me move past whatever I’m working through. Scott Johnson: Absolutely. One thing that has been so powerful for me in connecting with other people living with diabetes, and I think this will be the case, is the case, and will continue to be the case with Beyond Type 2 and all the work you’re doing, is when I’m struggling with something, and I can find other people who are also struggling with something, whether it’s the same thing or not, it gives me a big sense of normalcy around my life with diabetes. When we go into the doctor’s offices and our care providers, the time we have with them is short, so it has to be as efficient as possible. We learn all the formulas and all the, you know, do this, this, and this and here’s what you can expect on the other side of that. Scott Johnson: Diabetes doesn’t always work that way. When I would bump into a situation where I did X, Y, and Z and didn’t get the result I was expecting, there’s this negative language in my head, “Oh, I must have done something wrong, I’m broken, I’m weird,” like … but, that’s not the case, that’s just diabetes. However, we didn’t see those other stories to show us that that’s diabetes and how it works. Scott Johnson: People like you opened up that door and started sharing stories. T’ara Smith: Yeah, yeah, yes. Exactly. Also, we want to dismantle stigmas, like you have to be overweight or obese to get diabetes. That’s not always the case. I wasn’t. I was, I don’t know if you’re familiar with figure bodybuilding competitions, so basically like becoming a bodybuilder, but for women. I had a trainer and everything and I’ve been getting my body into shape for that and I still got it. I connected with some other people who were also living a healthy lifestyle and they were diagnosed anyway. I mean, so it doesn’t really discriminate. T’ara Smith: Obviously, there are some factors that are linked to a type 2 diabetes diagnosis, but I want people to understand it’s like when you meet someone who says they have type 2, to never assume that it’s their fault. I think that’s kind of where that stigma is. It’s like type 2 is the diabetes for the lazy person who couldn’t put down the burger or couldn’t exercise and that’s just not, that’s not true. I also think it’s a way, by dismantling that stigma, we give people permission to say, “Hey, I have type 2 and I don’t fit this certain stereotype that may be in your head.” Also, hopefully, it gives people who don’t live with type 2 to stop and pause and think and say [inaudible 00:23:45] that this person asked for diabetes. No one does. It happened and what can I do to help that person live with it? Scott Johnson: Yeah. I think you are doing great work to help show the world that there’s so much more to where diabetes comes from, especially in the type 2 space with Beyond Type 2. There’s so much more to the puzzle and the world … like, scientists haven’t figured this out yet. If it were as simple as the stereotypes lead us to believe, then every single person who met certain criteria would automatically have type 2 diabetes and that just isn’t the case. T’ara Smith: Exactly. Yeah. You hit it right on the head, Scott. Really. Scott Johnson: Yeah. Well, it’s again the power of story and the power of all of the work that you’re doing there. Let’s talk a little bit about diversity in the type 2 community. We knew that type 2 diabetes can … I don’t have the facts and figures at the tip of my brain, but it does affect the minority population at a greater degree than [crosstalk 00:24:55] yet it’s that population is typically very underrepresented in everything that we see in the media. Scott Johnson: I’d love to hear a little bit more about that. T’ara Smith: Yeah. I’m so glad that you brought that up. That’s another thing at Beyond Type 2 that we want to amplify. I’m going to speak from my experience as a young black woman. I’m very aware of the stereotypes that come with having type 2 as a black woman and they usually come from a cultural perspective as a black American about the types of foods that eat that contribute to our diabetes diagnosis, but it’s more than that. Genetics play a role and there are also socioeconomic factors that go into that. Wherever you have health disparities that disproportionately affect minorities, chances are you’re going to find a high prevalence of diabetes as well. It’s not, I would say, from a diverse perspective, here we would have to highlight we can’t talk about type 2 diabetes for minorities without talking about the socioeconomic factors that contribute to it. T’ara Smith: This is about access to healthcare, so if you can go see a doctor for a preventative checkup, maybe if you have access to quality doctors, they’ll be able to tell you that your blood sugar is too high, you need to maybe eat a little better or work out a little more or change your lifestyle a little bit to bring your blood sugar down, but that’s if you have that access. If you are fortunate to have a doctor that tells you that and they tell you that you need to make some dietary changes, you need to have access to a supermarket or grocery store where you can make those changes. That’s hard to do if you are in an area where you only have access to fast food or processed foods and foods that’s high in sugar. When we talk about exercise, exercise can be free. However, it may be hard to exercise if you live in a neighborhood that may be dangerous or maybe doesn’t have a lot of walkable spaces for you to be recreational. T’ara Smith: There is just… and also, of course, there are policies that affect different areas and how we prioritize health education. Also, we have to deal with our own families influences on how we view health. People view body image and diet and exercise and treating diseases differently depending on your culture. There are different lines, but some of these lines are also intersectional as well. I hope when type 2 or Beyond Type 2, I want people, when people read our content, they see that we can navigate those lines and I hope when people have their own private discussions about type 2 diabetes, they can also consider those other factors. Instead of maybe looking at a population and say this ethnic group has a higher rate of diabetes because of X, Y, Z, like some simple answers when it’s actually way more complex than that. Scott Johnson: Yeah. I think, again, it’s about getting that information out there and also seeing by doing that you’re empowering other people to tell their stories and explain their circumstances and environments. I can’t wait to watch all the learning that happens. T’ara Smith: Yeah. I am so excited for this program. This program could really change the way we think about diabetes from a global perspective and that’s the perspective that we want. We want to represent everyone. We want everyone to come in and see a piece of themselves, even if they can just pick like one piece [inaudible 00:28:49] that’s good for me. If our information could inspire people of all types of backgrounds and they could bring it to their families and if it improves their diabetes care, that’s the mission and I hope that people come to Beyond Type 2 and feel a sense of community because that’s what we want to bring is a sense of global community for people who are impacted by type 2 diabetes everywhere. Scott Johnson: I love it. People that are watching and they’re like, “Yeah, this is my spot. I need to get involved somehow.” I mean, obviously, visiting your website, BeyondType2.org is a great place to start. There’s wonderful navigation built in there, but what else? What else would you like people to do coming away from today’s conversation? T’ara Smith: Yeah. Right now, we are seeking people living with type 2 or impacted by type 2 to send in their personal stories. If you are someone who lives with type 2, I highly encourage you to submit your story to our Beyond Powerful campaign on Instagram at BeyondType2.org/BeyondPowerful. If you go to our Instagram page @BeyondType2, you’ll see people who have shared their stories and we’ll highlight you and you’ll be able to share stories with our entire community. T’ara Smith: If you have something that’s a little longer and you want to share other experiences, and this part includes people are impacted by type 2, if you have worked with someone with type 2, if you have a family member with type 2, or if you live with type 2 yourself and if you want to submit a longer piece to our website, please go to our website and you can go to “Join Us,” and you’ll be able to see a link where you can share your story with us. Please, send in your stories, send in your unique experiences. Your voice matters and you never know who your voice may inspire and empower. There’s enough room for everyone in this type 2 diabetes space to have a say. Scott Johnson: Absolutely. I love that. Well, T’ara, we have covered a lot of ground. Scott Johnson: Is there anything that you want to spend a little more time in, anything that I may have forgotten to ask about? T’ara Smith: Also, follow us on Facebook and Twitter @BeyondType2. Also, if there’s anything on the website as your browsing that you think that we should cover this perspective, a perspective that we’re missing, feel free to email me at Hello@BeyondType2.org. Right now, we are just … we’re building the community and tell all your friends, your family members, your coworkers, your neighbors. Tell everyone about Beyond Type 2 because we all know someone who is impacted by type 2 diabetes. I mean, like 90% of all diabetes cases are type 2, so we all know someone and this resource is meant to help everyone. I truly help people feel that way when they come to Beyond Type 2 website. Scott Johnson: I think they will and the reason I’m smiling so much right now is I think about how the Beyond Type 1 organization has this way of making everything that you guys touch look cool, so when I picture someone who is bumped into a type 2 experience, whether its themselves or one of their family members or loved one, it can only be a great experience to visit BeyondType2.org. There’s so much there and it looks so cool and bright and beautiful. Scott Johnson: …and the whirlwind of amazing things that is happening as you guys get this going. Scott Johnson: Please, let us know how we can support you. T’ara Smith: I will. Thank you. Everyone just feel free to share your stories with us and again, it’s such an honor to just be in this position. I hope that everyone just feels at home when they come to Beyond Type 2. My plan is just to make sure everyone is heard and that they feel seen as someone who lives with type 2. T’ara Smith: Thank you. It’s been a pleasure. Scott Johnson: …I’m looking forward to seeing much more of you around. Scott Johnson: You are welcome. All right, there you have it. I hope you also enjoyed getting to know T’ara and learning about Beyond Type 2. You can learn more at BeyondType2.org and as a special thanks to all of you watching, I have a fun mySugr tote bag with some goodies inside, like a pop socket and a few stickers that I want to give away. To enter, leave a comment below and let T’ara and I know if you enjoyed today’s episode. Before next week’s show, really, I’ll randomly pick a lucky winner or two and announce them during the start of the episode next week. Scott Johnson: Once again, today’s episode is sponsored by the mySugr bundle. Get unlimited strips, automatic supply refills, personalized support, and more all for just $49 every month. Learn more at mySugr.com/facebooklive. Then, be sure to tune in next week to connect with strongman and powerlifter, Rodney Miller, who talks about diabetes being like a superpower. Rodney uses strongman demonstrations as a way to portray type 1 diabetes in a positive light and to inspire young people with diabetes to grow up and be strong members of the community. Thank you so much for joining today. Please like this video, share it with your friends. Have another amazing day and I’ll see you next week.